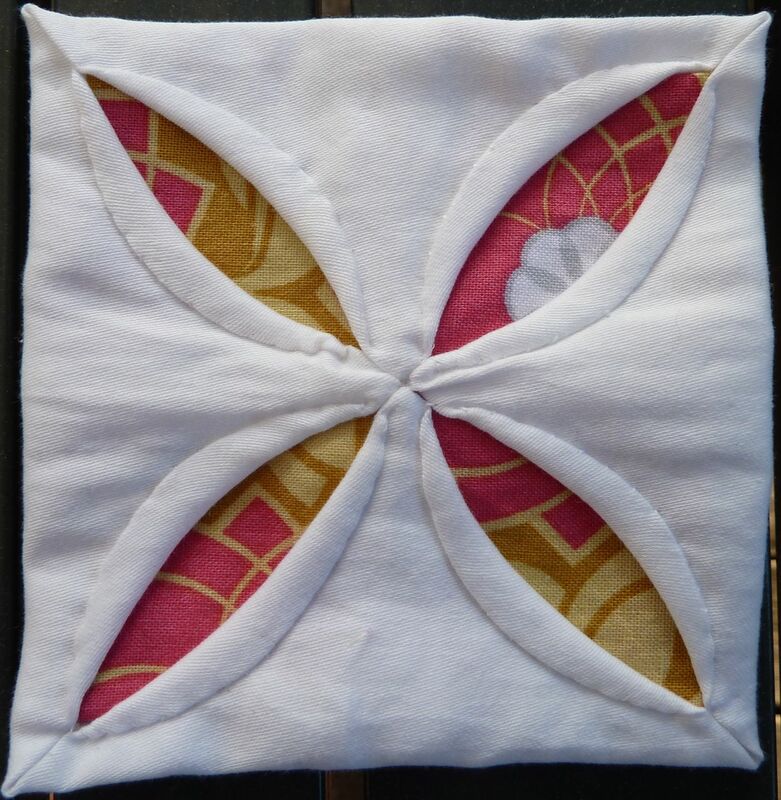 All I’ve been able to accomplish lately is hand sewing hexies, the weather is still too nice to sit and sew in the basement, especially when I know that cooler weather is on it’s way and will be here for a long time. But still, I’m done with the sun beating down on me, I need relief. I feel so decadent using designer fabrics for hexies like Joel Dewberry’s Heirloom, Tula Pink’s Pince Charming, Melissa Averinos’ now out of print Swoon and Amy Butler’s Soul Blossoms. I’d like to incorporate Cathedral Windows into this configuration for something off the beaten path. This entry was posted in Cathedral Window, Fabric, Hexies and tagged Amy Butler, Joel Dewberry Heirloom, Melissa Averinos, Tula Pink by Tabatha. Bookmark the permalink. Thanks Dan! I’m sewing so many of them, I figure they’re eventually going to be a real quilt some day. 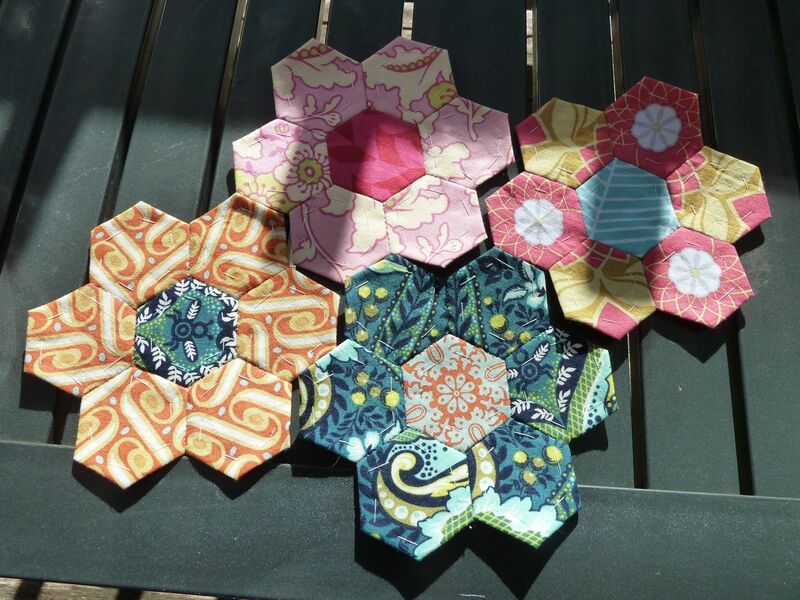 Dan’s right. . your hexies look great! Thanks for dropping by Sukie! And yes, I DO know who you are! 😀 Looks like your group had a good time with the Kona solids challenge.